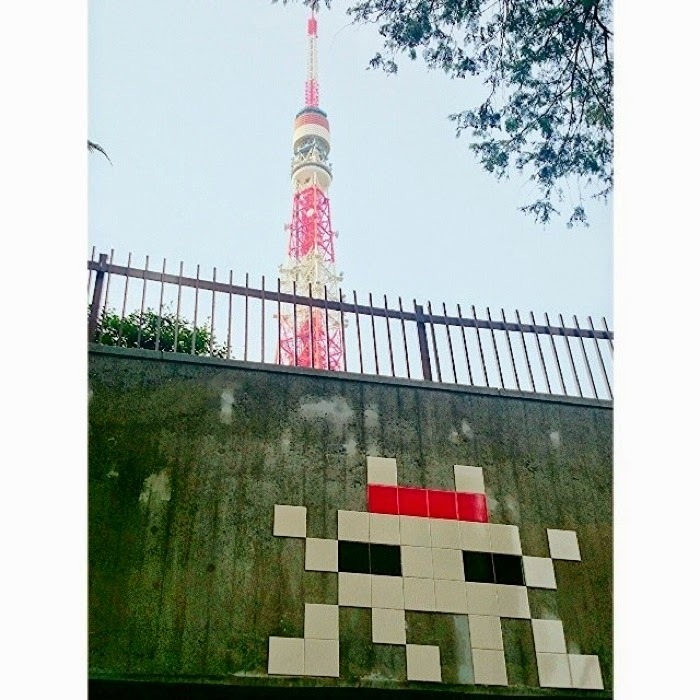 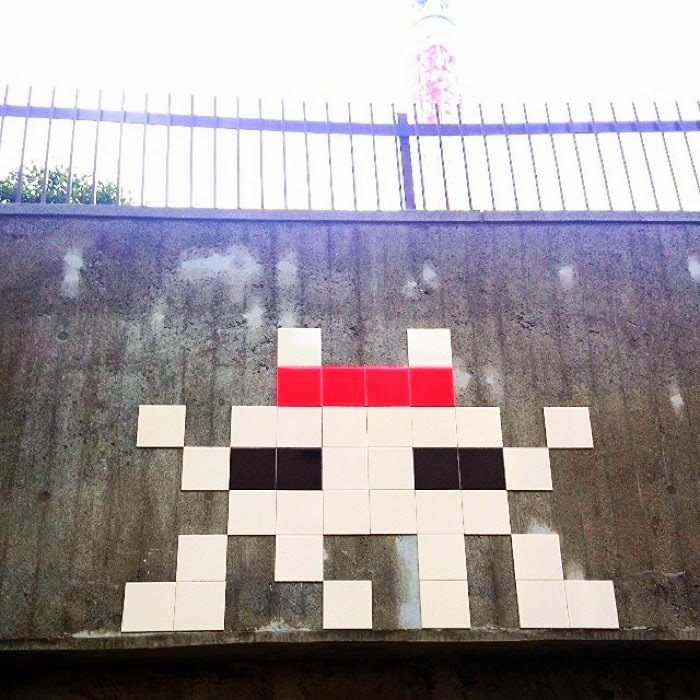 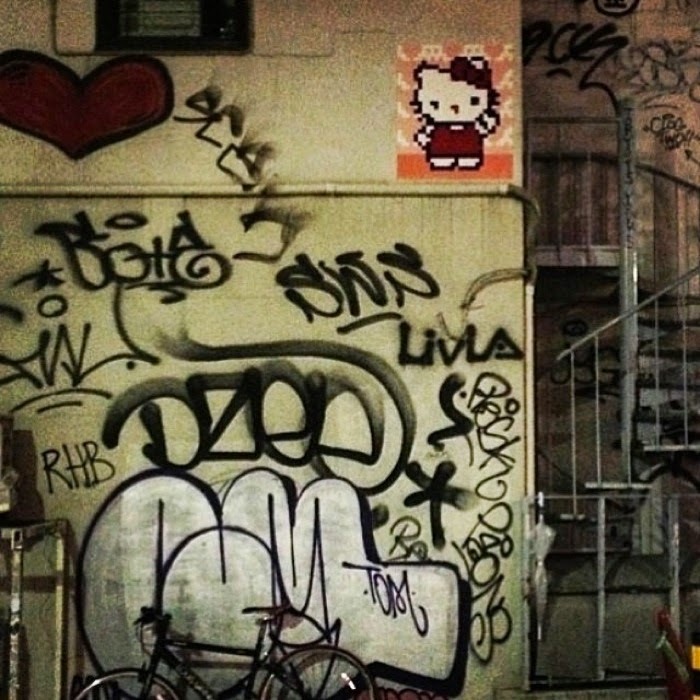 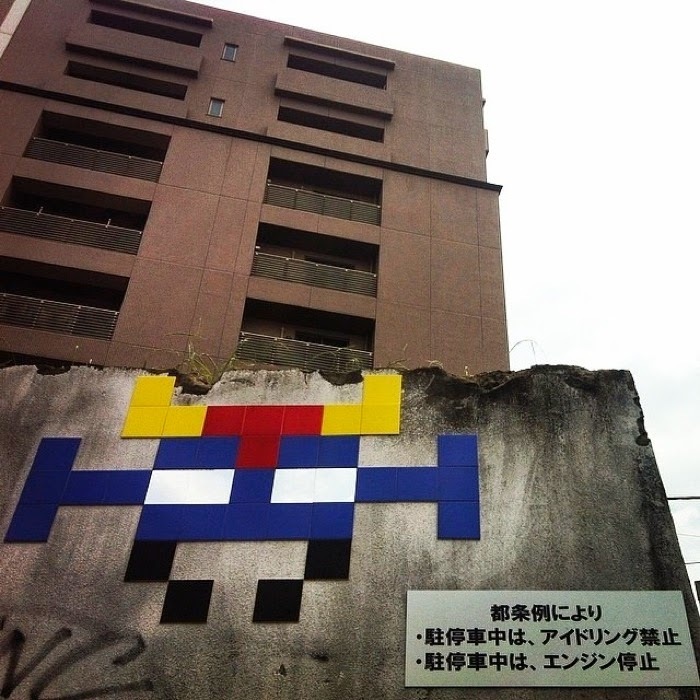 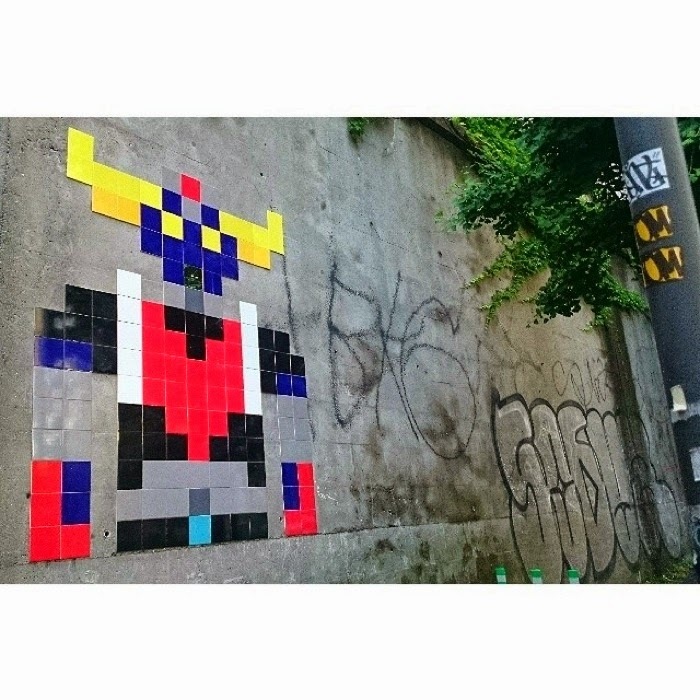 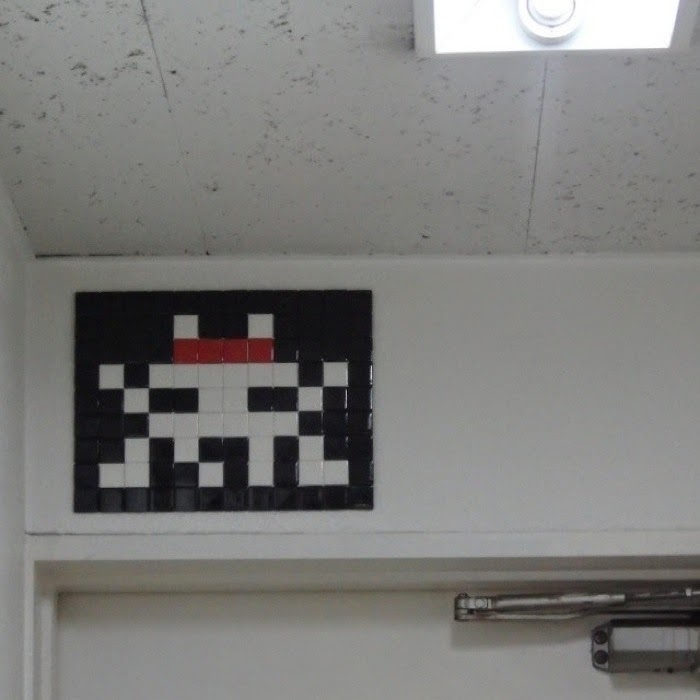 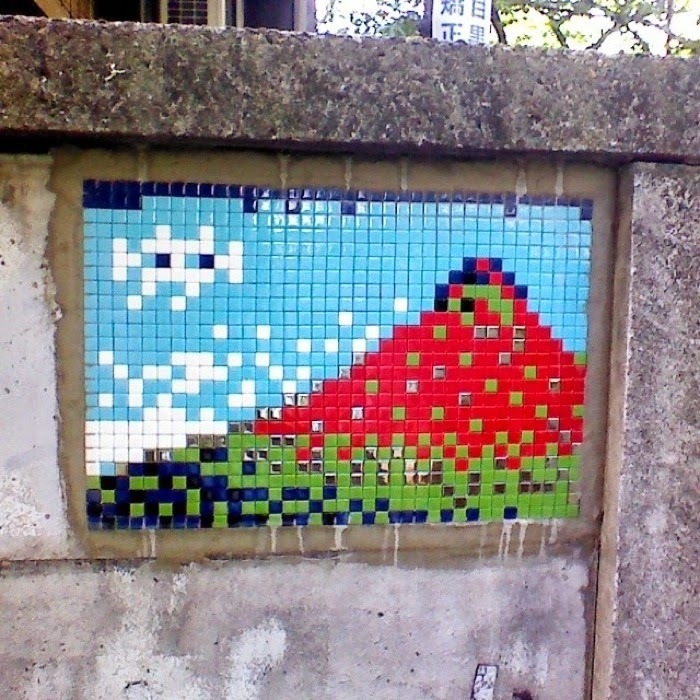 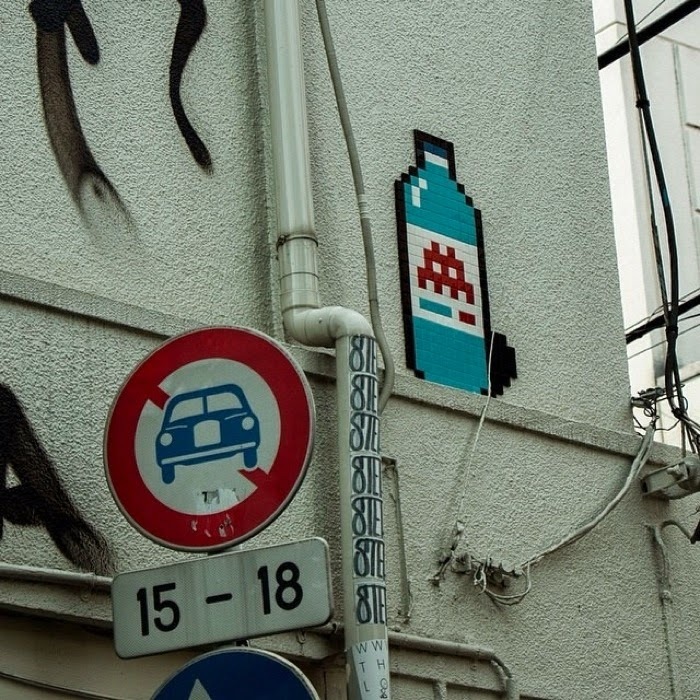 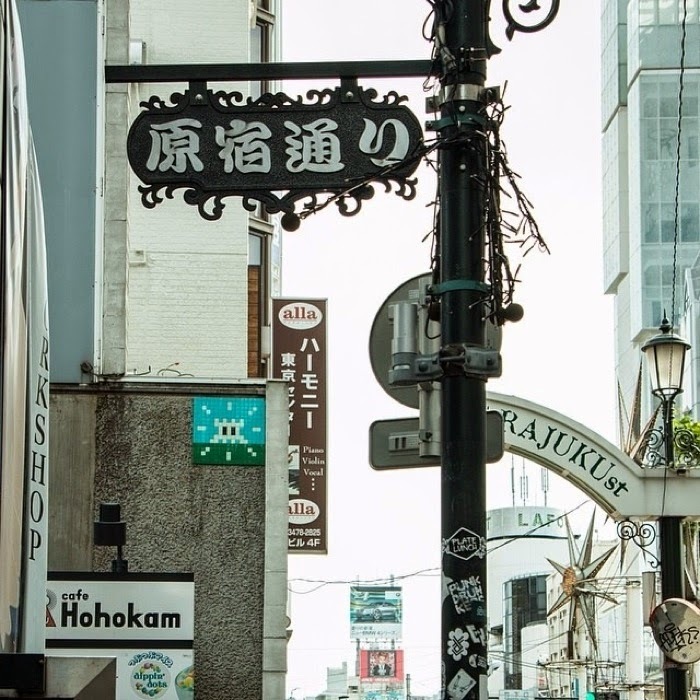 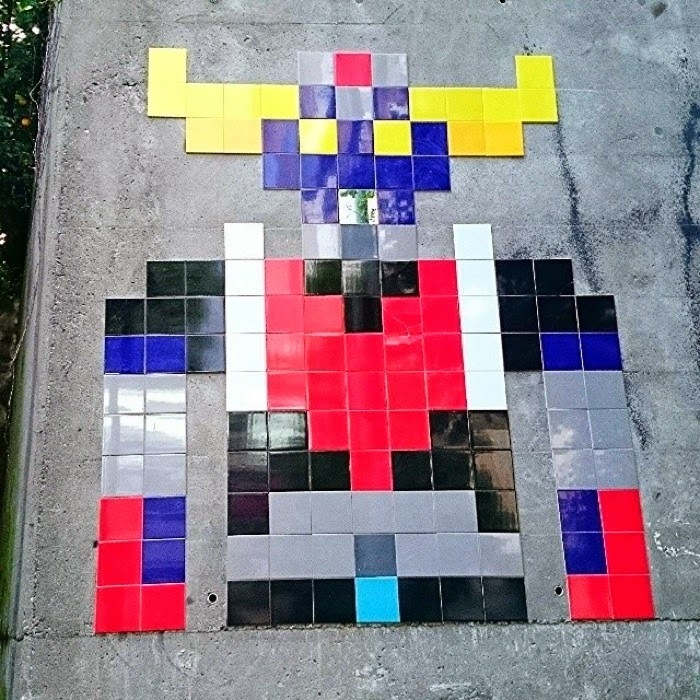 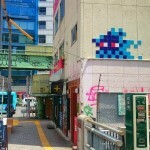 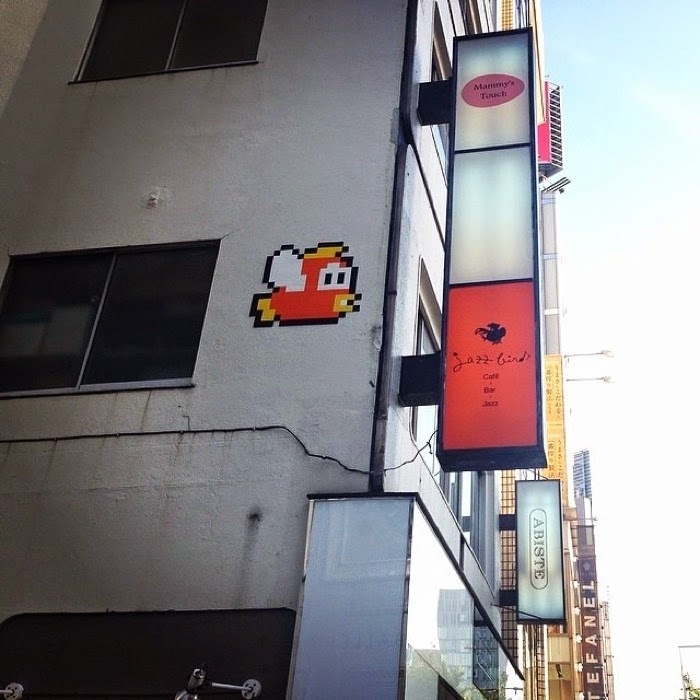 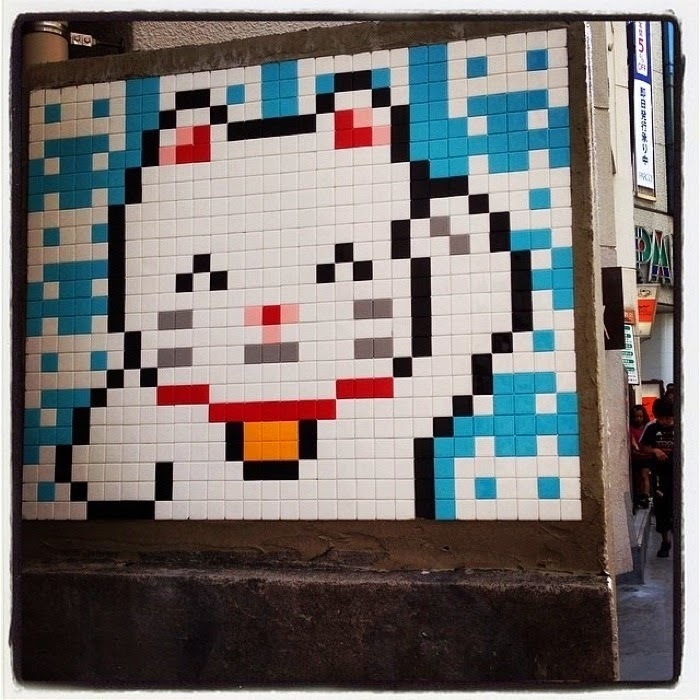 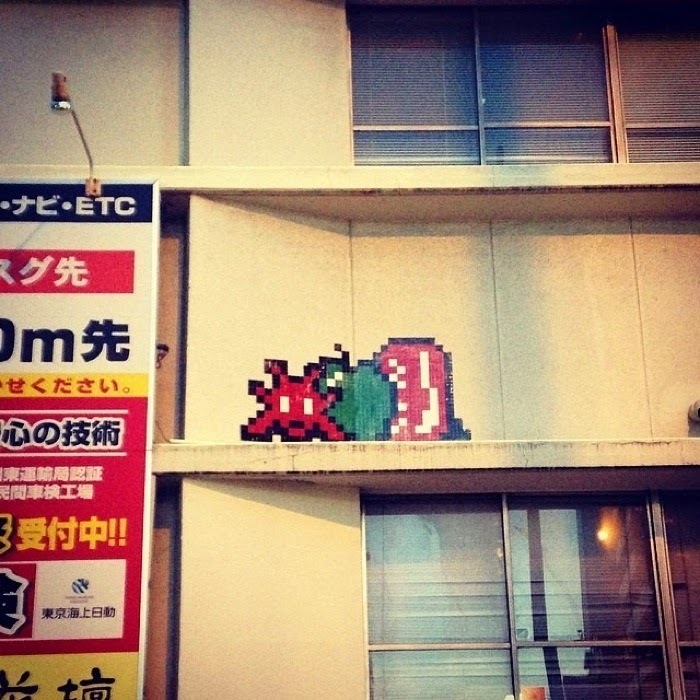 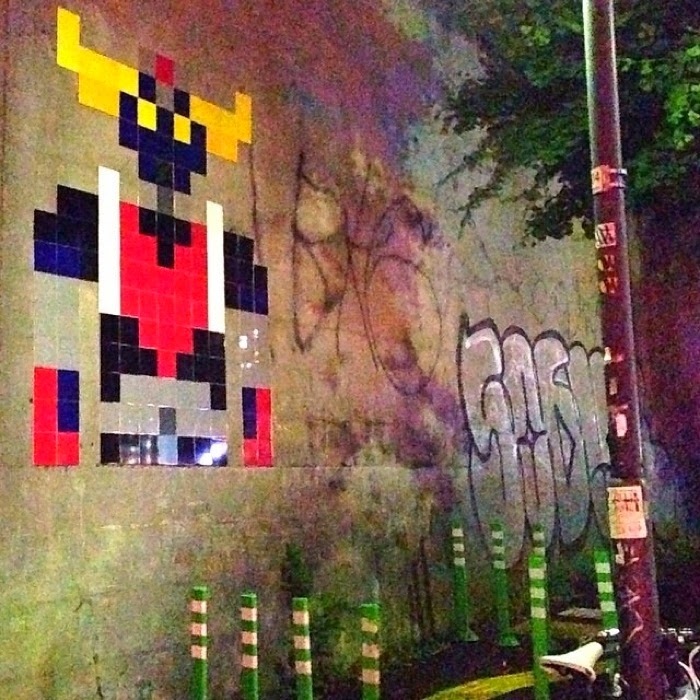 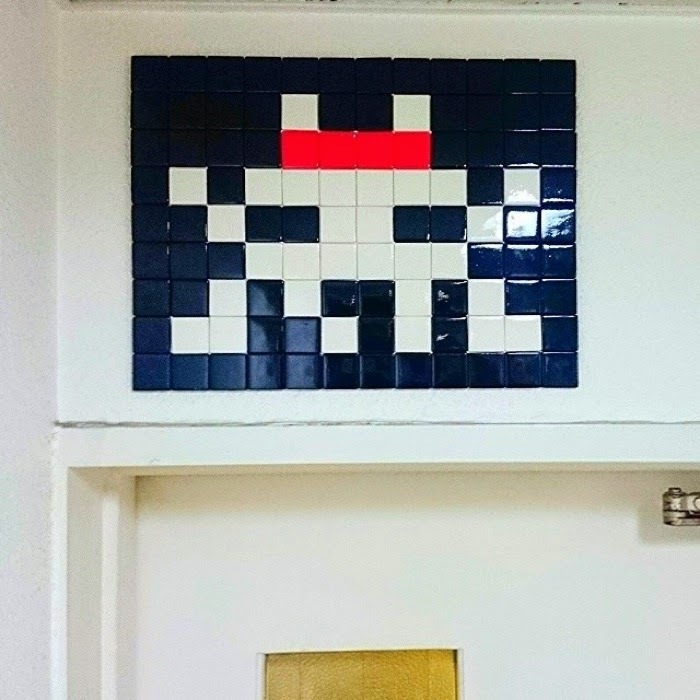 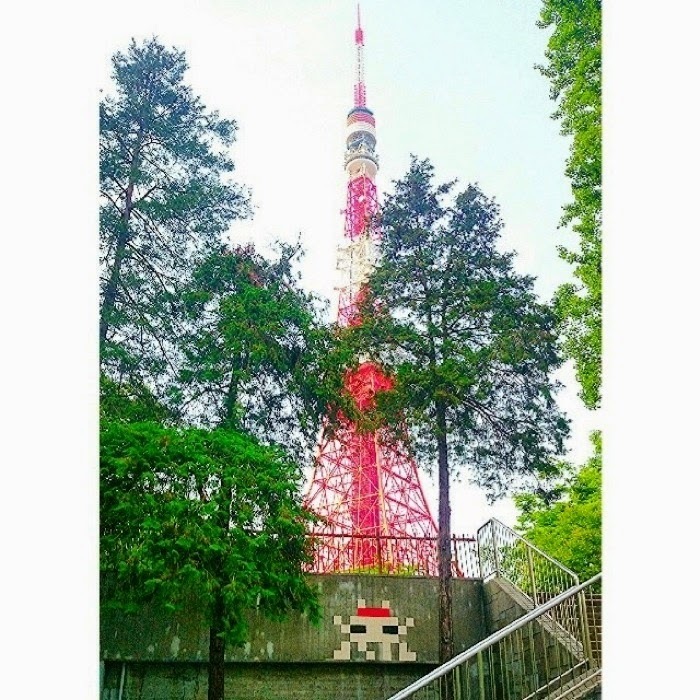 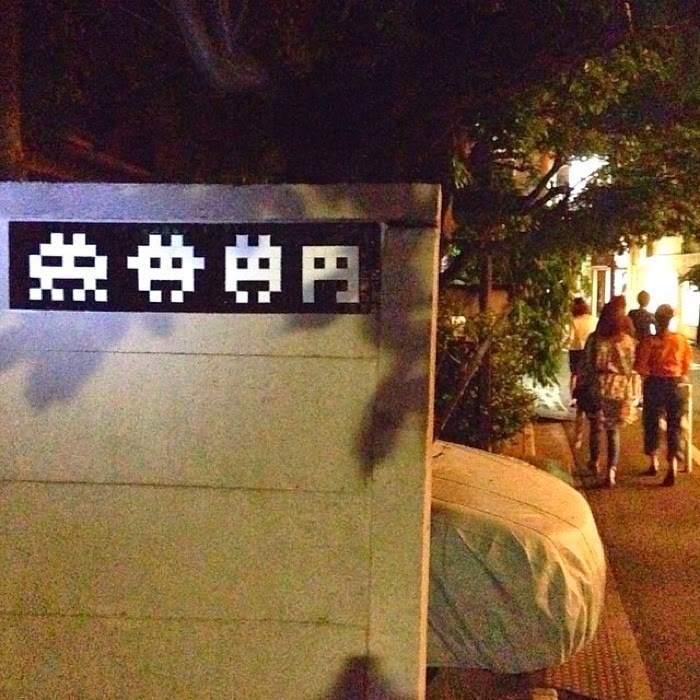 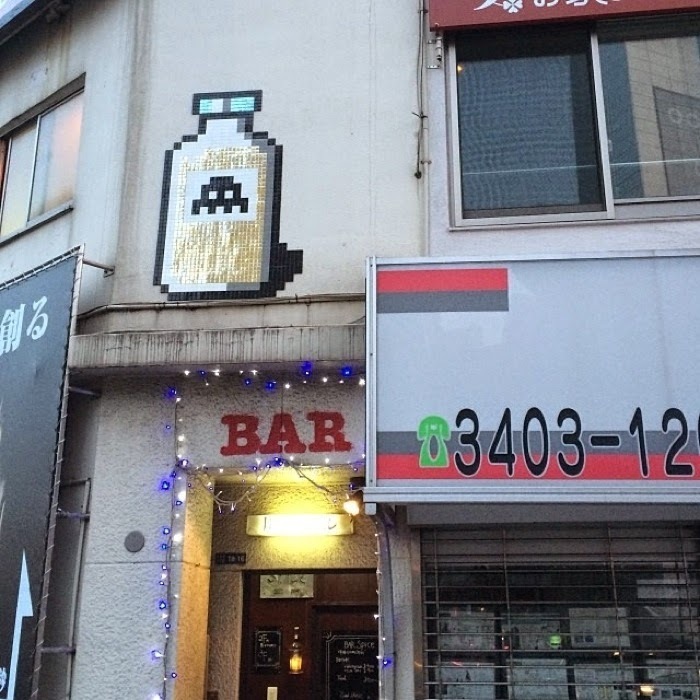 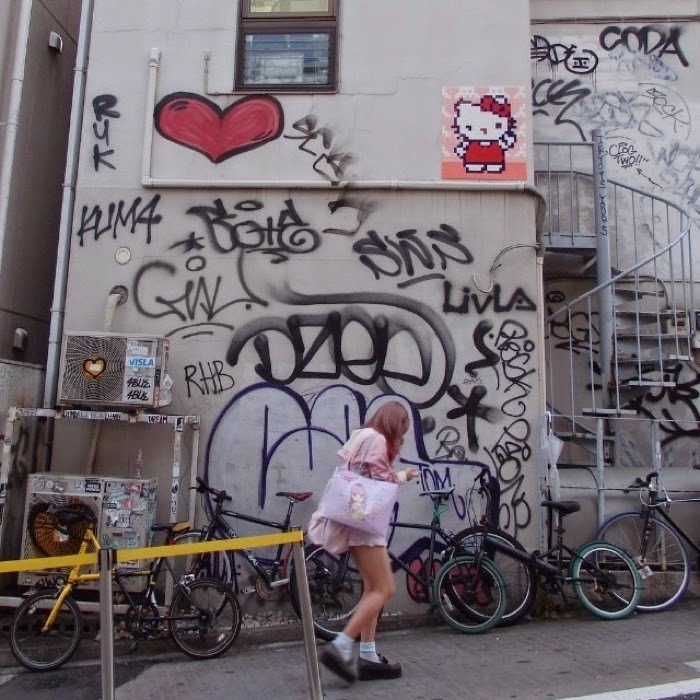 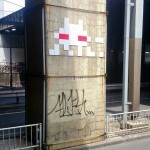 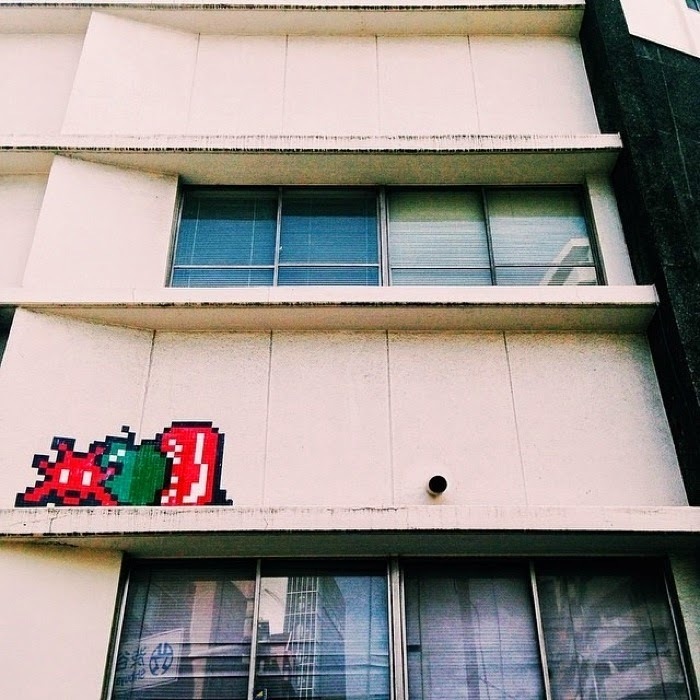 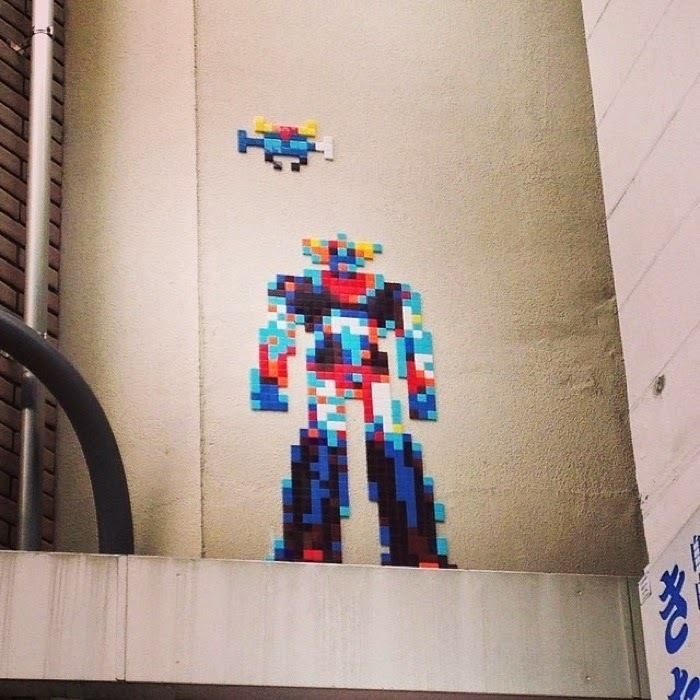 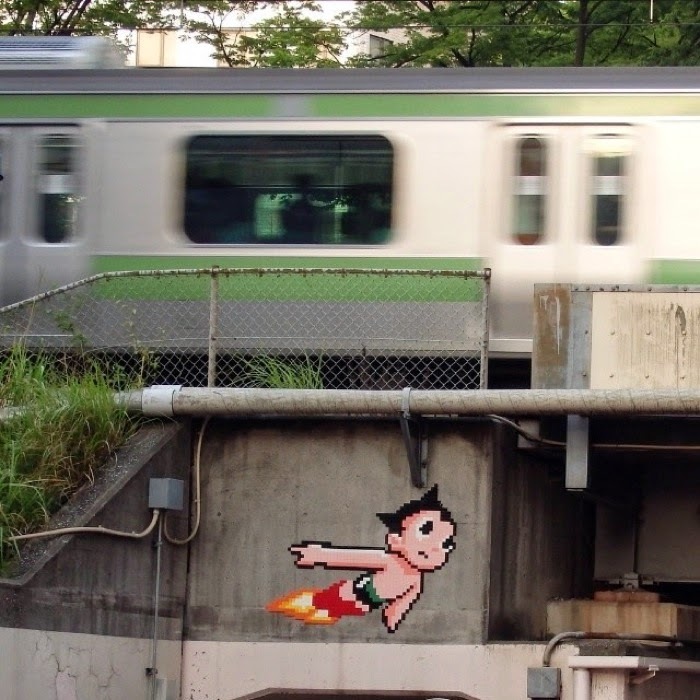 Invader is still Japan where he’s been more than busy working on several new invasions for the streets of Tokyo. 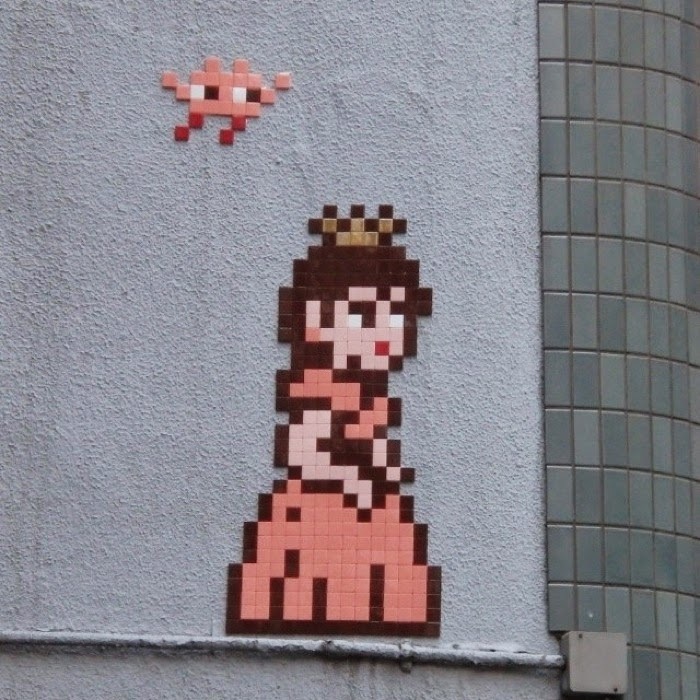 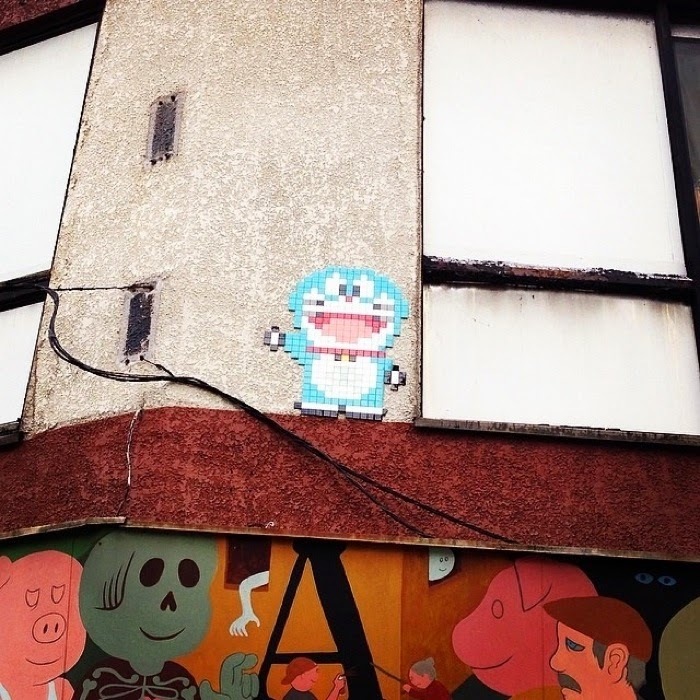 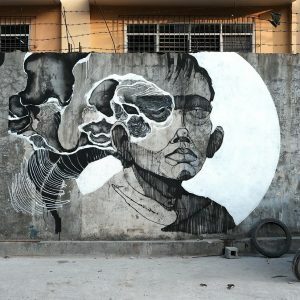 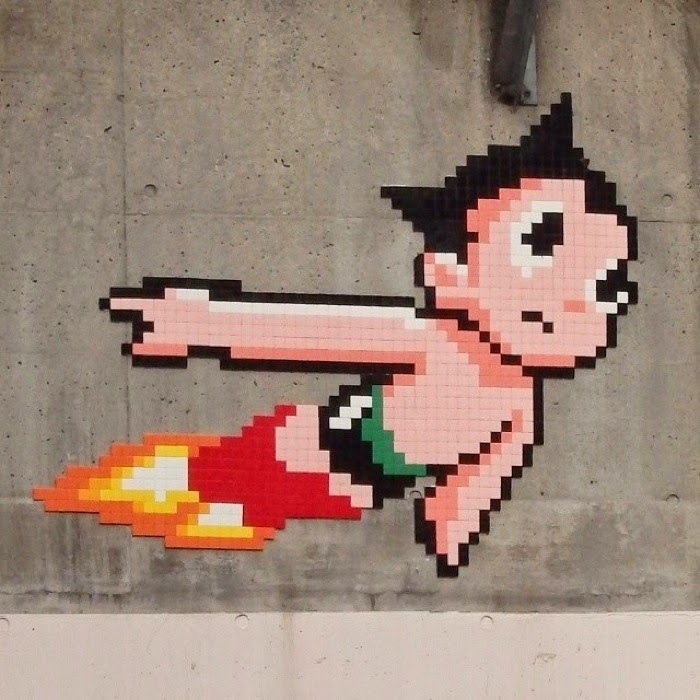 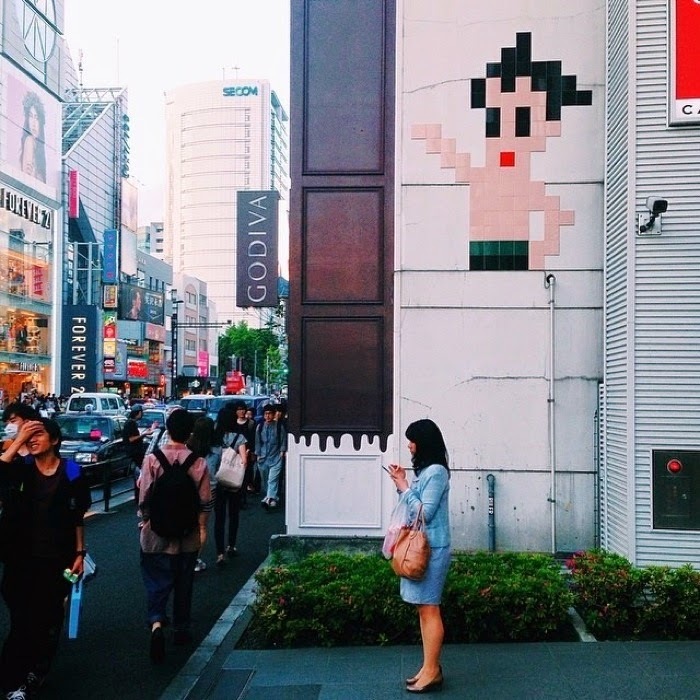 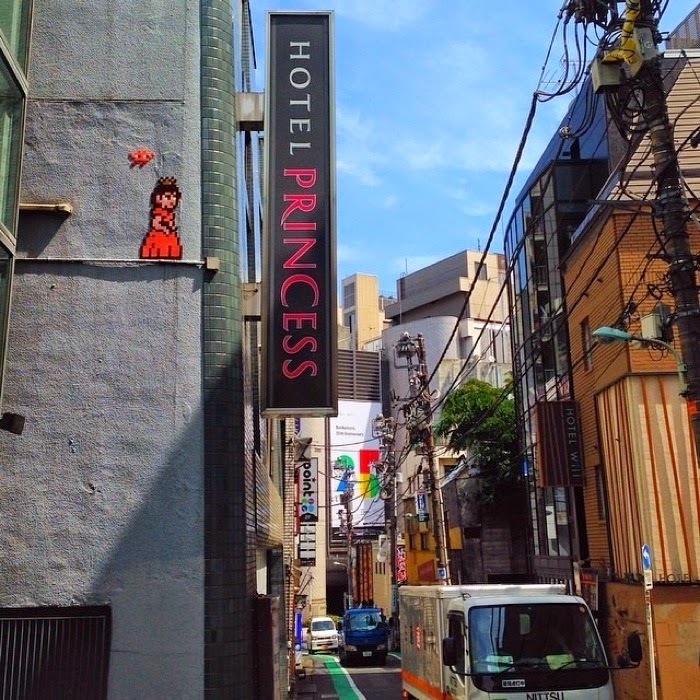 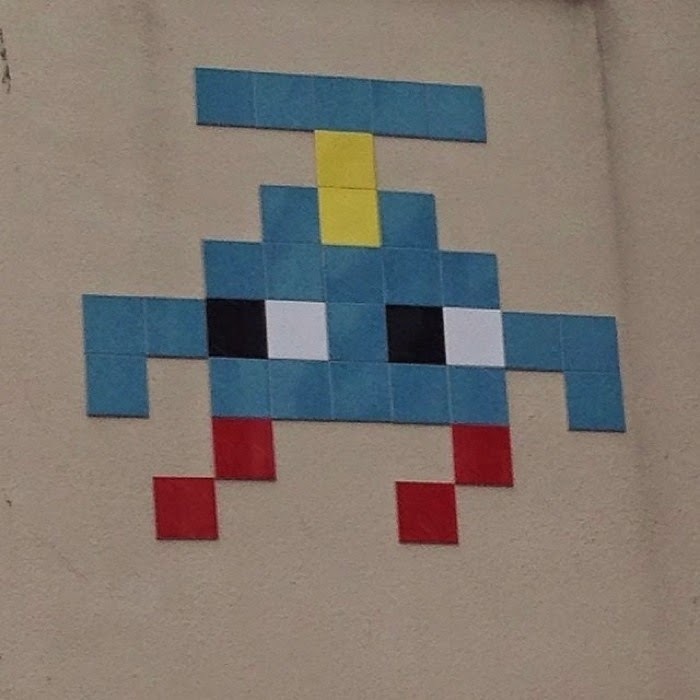 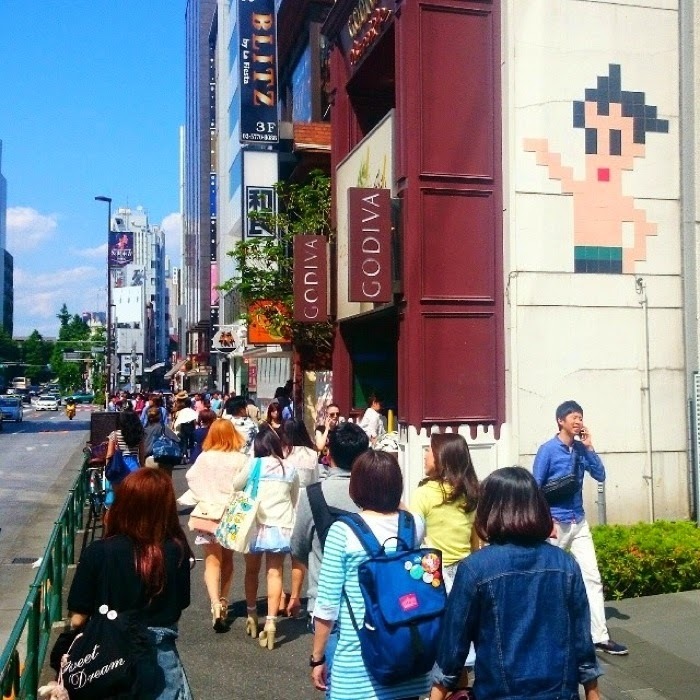 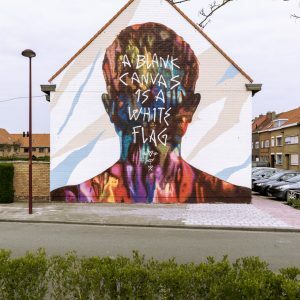 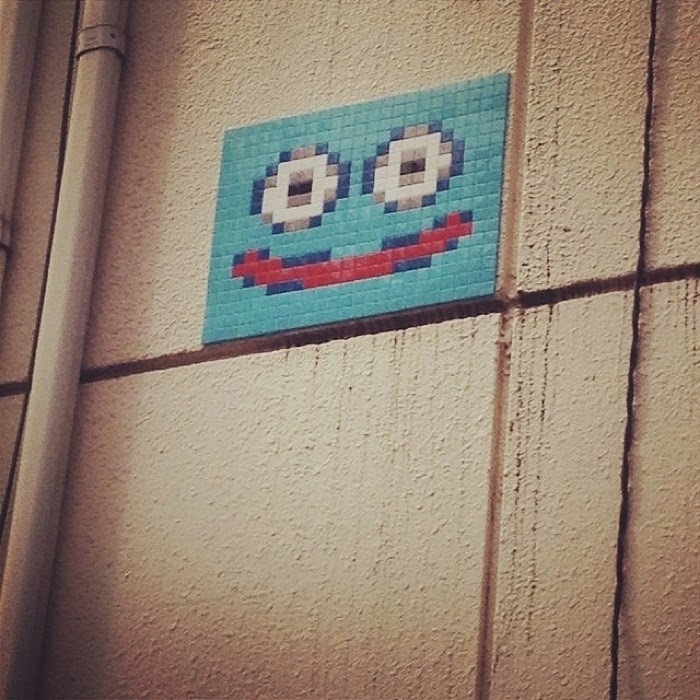 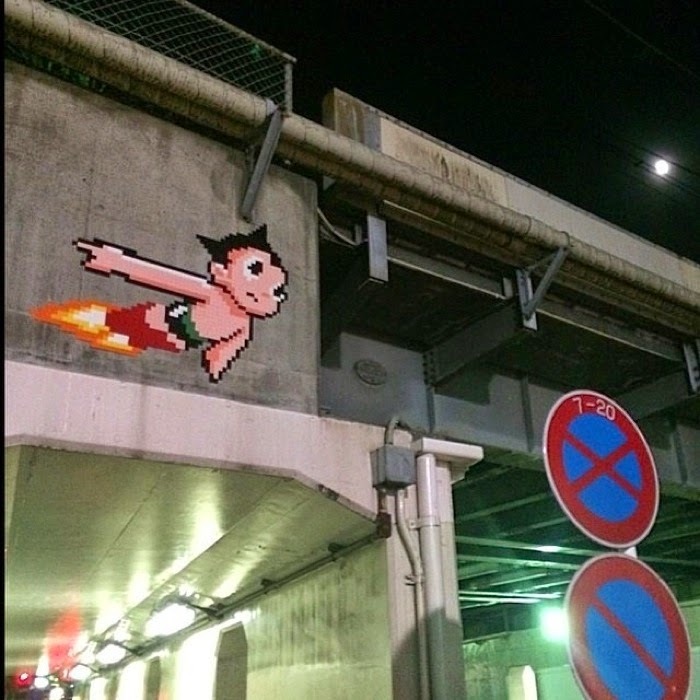 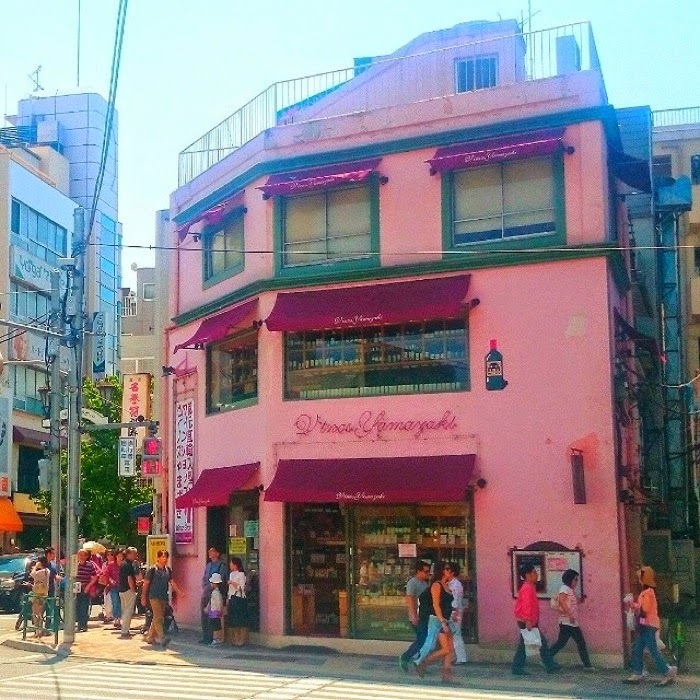 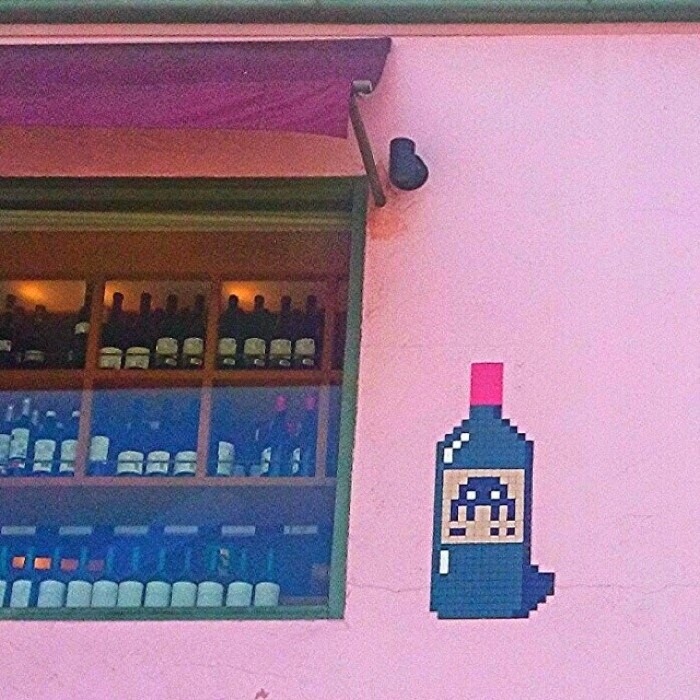 The French-artist went on a retro pilgrimage with Astro Boy, Princess Peach, Dragon Quest’ slimes or Gandrizer popping up in pixelated 8 bit versions all over town. 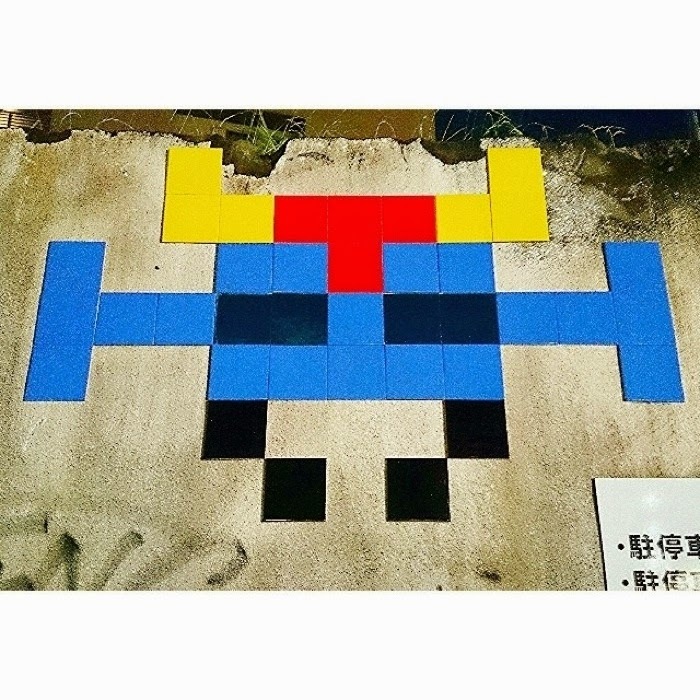 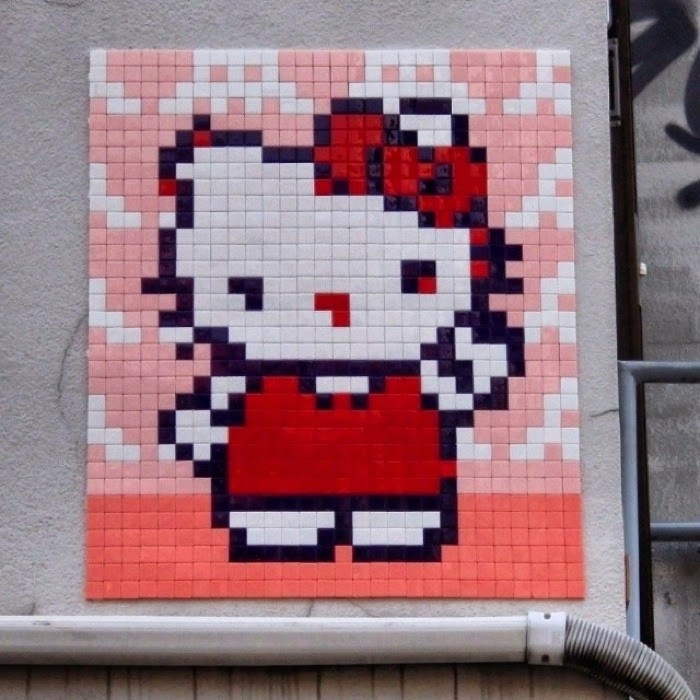 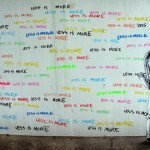 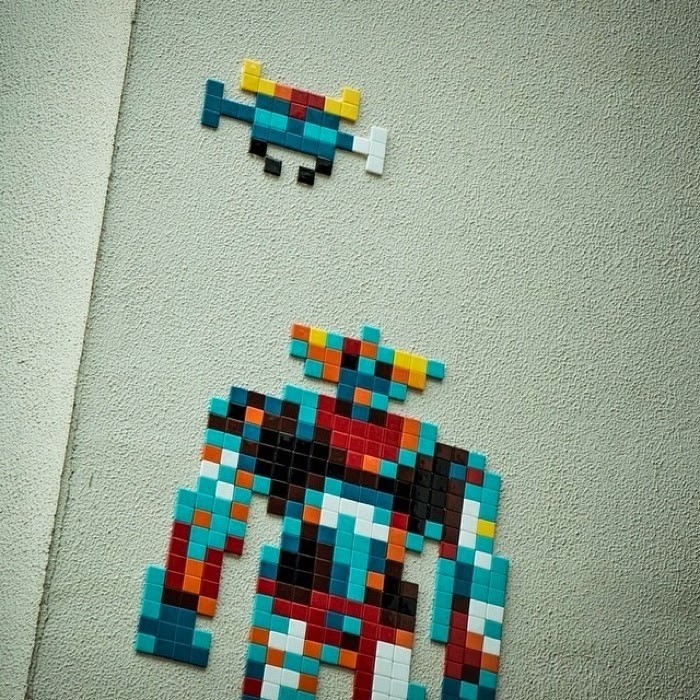 Hit the jump for more images on these new mosaic pieces and then check back with us soon for more updates from Invader.